Tickets for Storm’s upcoming game against MK Lightning can be ordered online HERE, or by calling the box office on 0161 926 8782, or in person at the box office. Last weekend saw your Go Goodwins Manchester Storm face Nottingham Panthers in the Challenge Cup on Friday 2nd November, before returning home for EIHL and Halloween game against Fife Flyers. On Tuesday, it was announced that Storm would be facing Panthers in the EIHL Challenge Cup Quarter Final, after they were selected in third pick in the draw. Read more here. Tickets are on sale now! 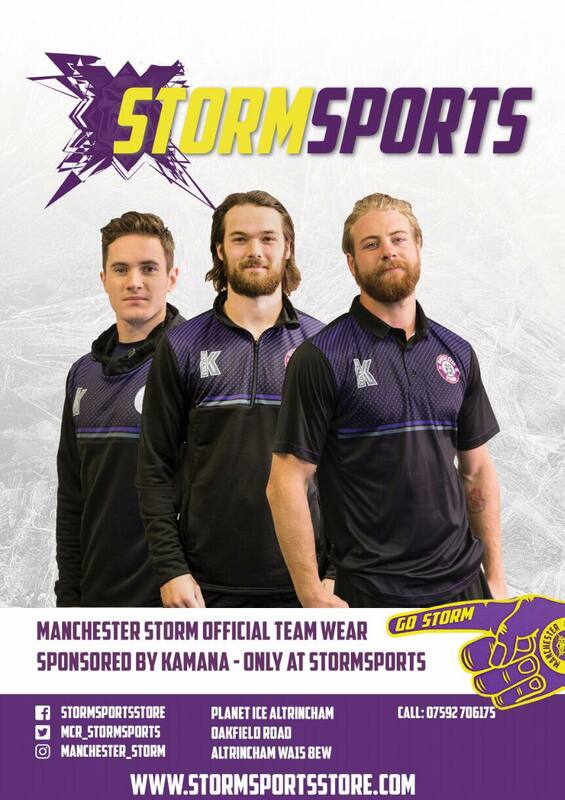 MANCHESTER STORM v MK LIGHTNING – FRIDAY 9TH NOVEMBER, 19:30, PLANET ICE ALTRINCHAM. Lightning visited the Storm Shelter for the first time this season on 29th September for EIHL Patton Conference game. It was a feisty game all round, with five goals, 60 shots on goal and a total of 75 penalty minutes – Storm taking the win 4-1. Since the last time the two teams faced each other, Lightning’s head coach, Doug Mckay has signed some new players to the roster. Players include, American forward, Robbie Baillargeon, who is fresh to the EIHL from ECHL team – Tulser Oilers. Also part of the 2018/19 Lightning roster is Scotsman, Harry Ferguson, on a two-way contract with Peterborugh Phantoms (NIHL), and dual national forward, James Hounsome. Tonight sees a second meeting between the teams, as Storm continue their campaign to defend the Patton Conference trophy. One to Watch: Robbie Baillargeon, 2012 round 5 #136 overall by Ottawa Senators. SOTB is Shane Bakker, the winner will also receive a family ticket (2x adults & children) to the Challenge Cup game on the 4th December. 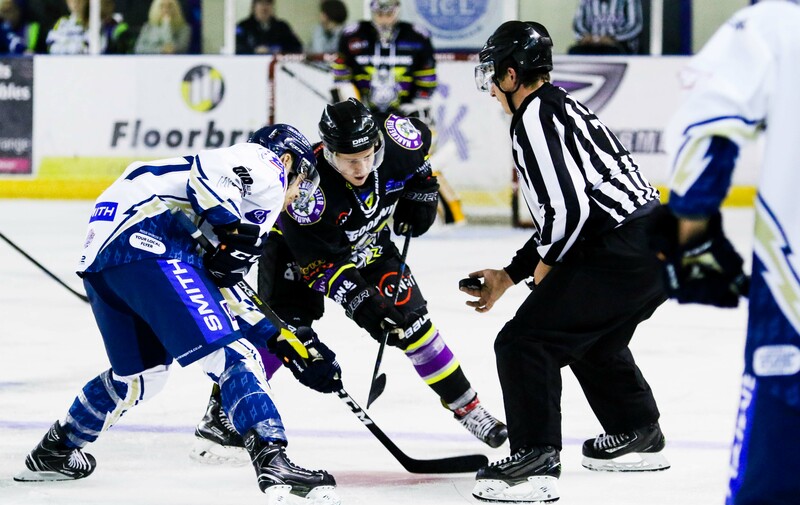 MANCHESTER STORM v FIFE FLYERS – SATURDAY 10TH NOVEMBER, 19:15, FIFE ICE ARENA. Last Saturday, Flyers visited the Storm Shelter, as the club hosted hockey Halloween and the first Skate with the Storm of the season. Storm came out on top, taking the two points in regular time, and a 3-2 victory – goals from Byers and Hammond. The Storm players make the long travel up to Fife this Saturday, just one week later to face them again. Flyers currently stand second in the league with 24 points, but this season so far has been proof that any team can beat any other team in the league. Storm’s next home game falls on Saturday 17th November against Patton Conference rivals, Guildford Flames – 19:00 face-off. You can get tickets here! CHALLENGE CUP QUARTER FINAL: Tenner Tuesday Returns!